About | Sloan Street Advisors Inc.
Real estate cost is typically the 2nd largest line item in a corporation's budget and can easily equate to 25% to 40%. We create powerful negotiating leverage to help our clients reduce that cost and maximize profitabilty. Seasoned professionals. With an average of 25 years of experience, we focus 100% on the best interests of corporate tenants, providing impartial, comprehensive analyses and intelligent solutions in their real estate matters. No conflicts of interest. We only represent tenants. Our commitment to achieving the goals of our corporate clients, together with a principal's view to creating value, has resulted in long term relationships based on transparency, intregrity and trust. Principal-level expertise. Serving as the client's real estate arm, we work closely with best-in-class experts in local markets on five continents to meet the diverse and complex needs of our clients, wherever their business takes them. 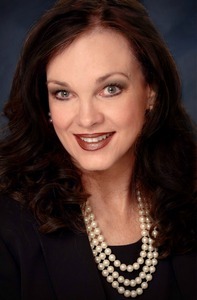 Debra Stracke Anderson, CCIM, SIOR, founded the firm in 2000 following a successful career spanning 20 years. She previously served as a brokerage executive for several renowned commercial real estate firms - first as a developer and later as an expert negotiator and consultant. A committed and passionate advocate for tenants, Debra's previous tenure as a landlord representative has afforded her a decided advantage when negotiating on behalf of clients. Click the link below to view Debra's professional biography.